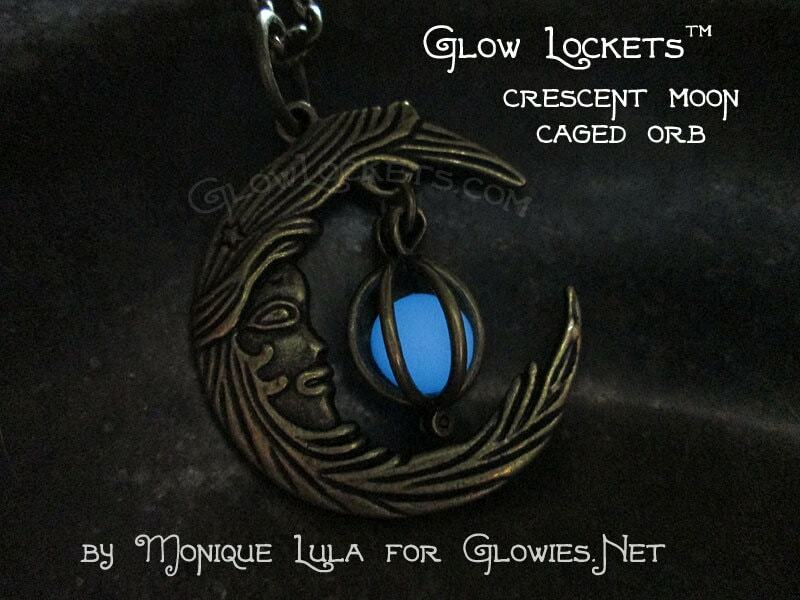 Beautiful Antiqued Brass finish, vintage style Crescent Moon with caged orb Glow Locket. This comes on 24 inch chain. 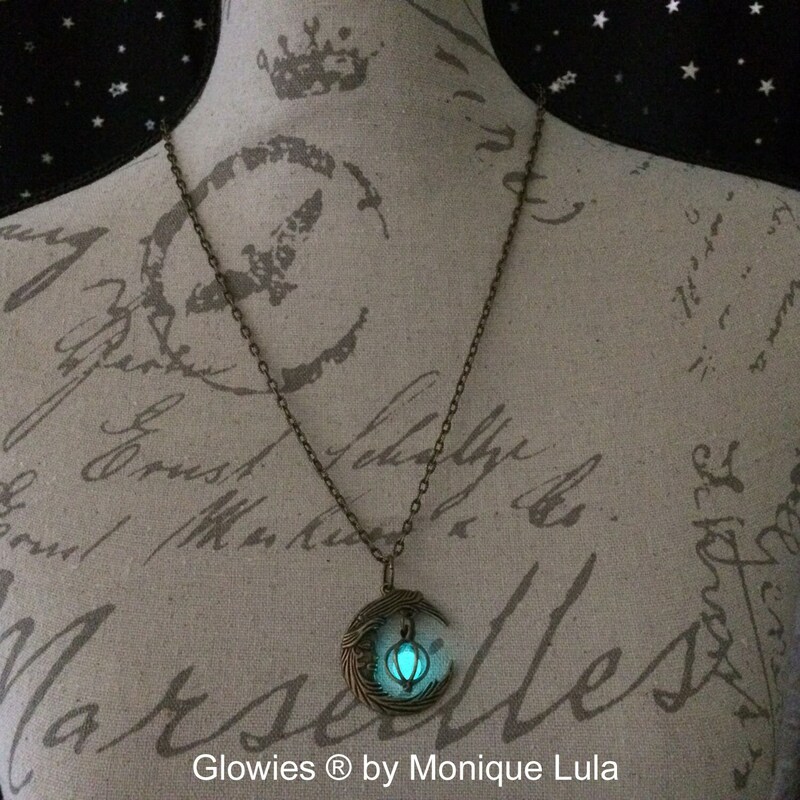 Magical and mystical and soon to be one of your favorite pieces of jewelry to wear! 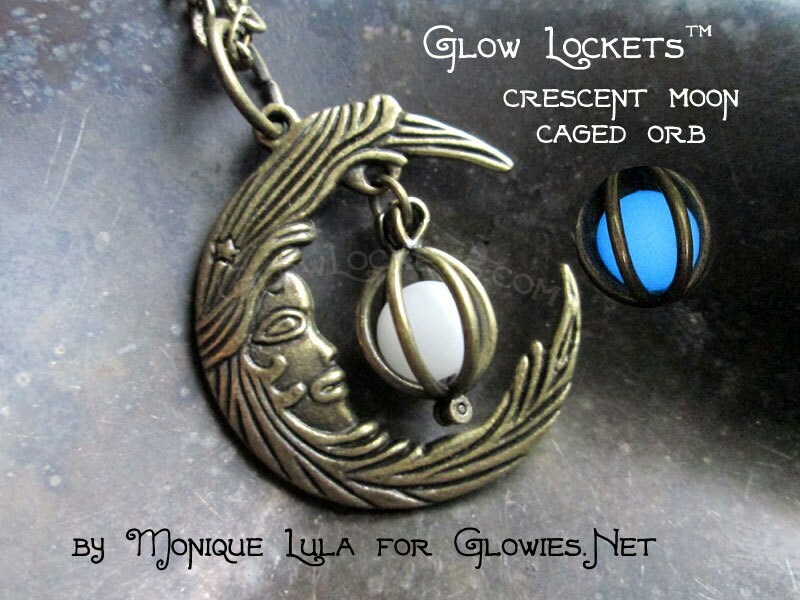 The little orbs are colorless in the daylight and glow a beautiful vibrant color in the dark. 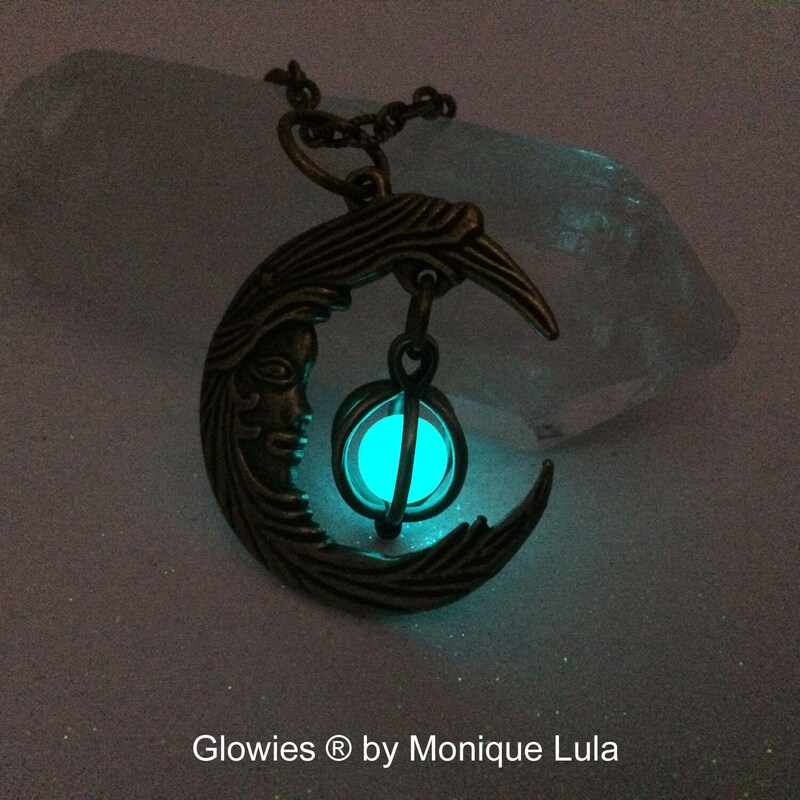 You can choose your glow color from aqua, blue, green or violet. 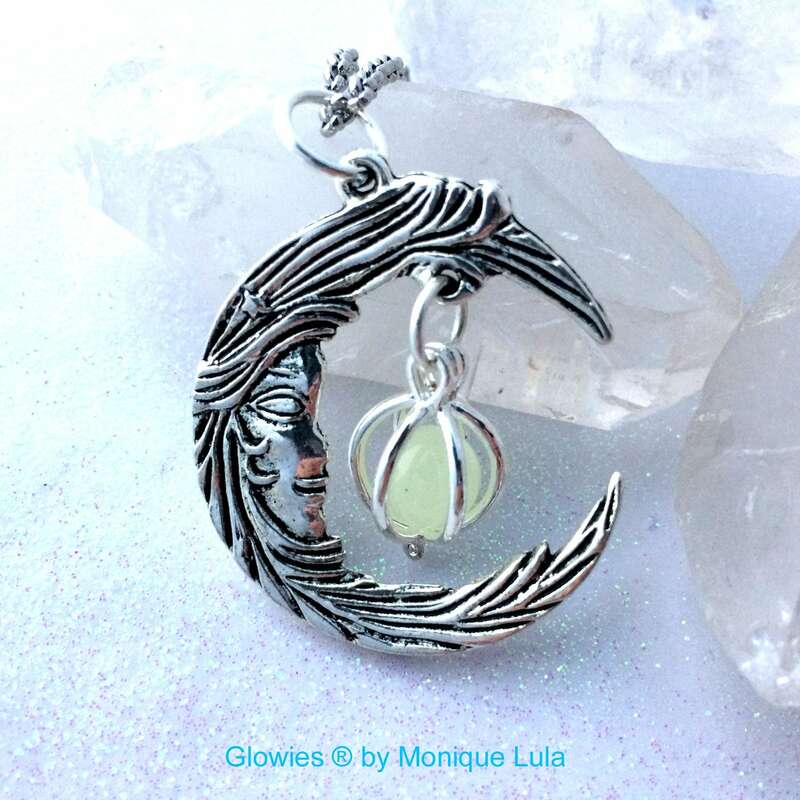 This crescent moon is so gorgeous and magical! 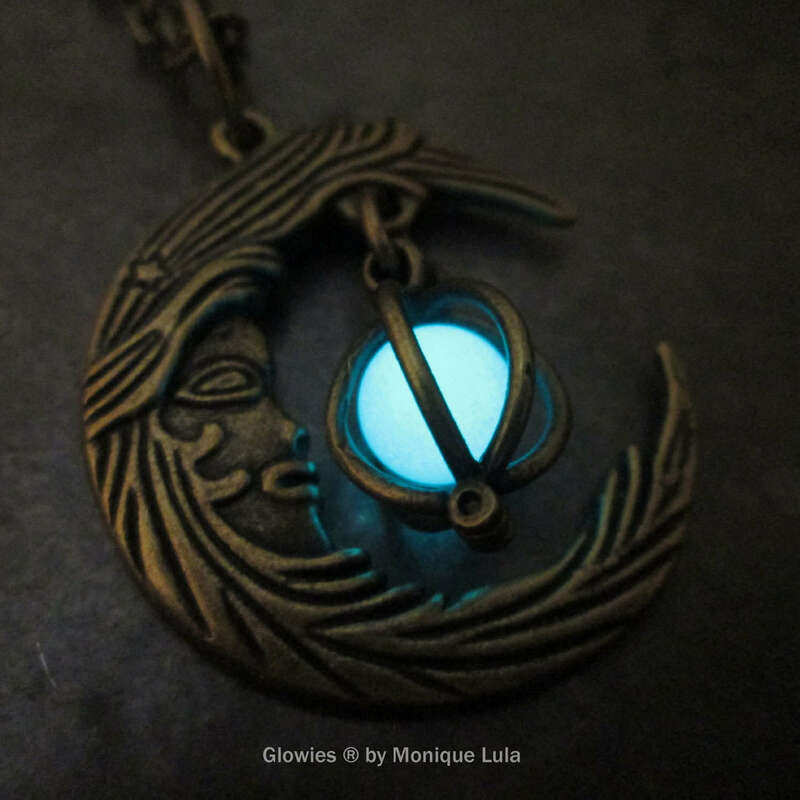 The little orb is colorless and just needs sunlight or flourescent to charge up and glows the most beautiful color, in dark and even dim lighting. It will catch your eye when you least expect. 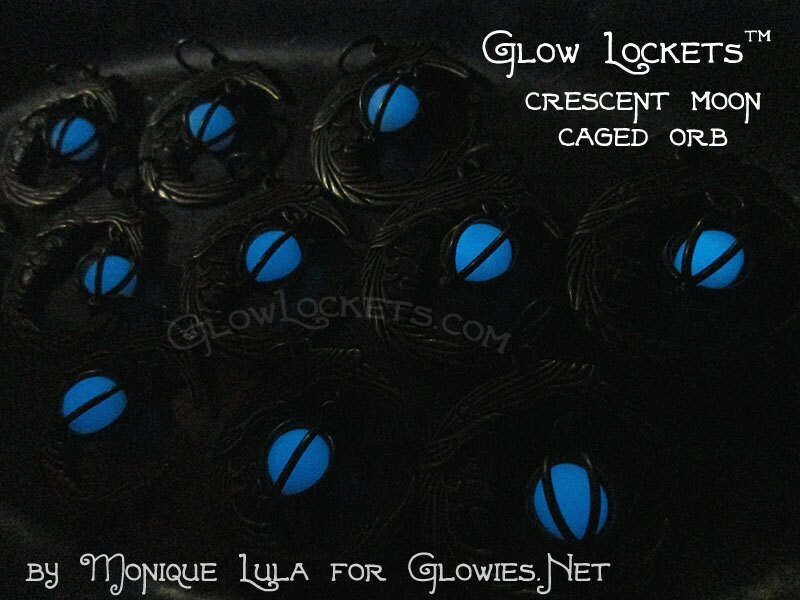 Enchanting moon pendant has a nice weight and detail to it, a little star too, and has this adorable glowing blue caged orb dangling. 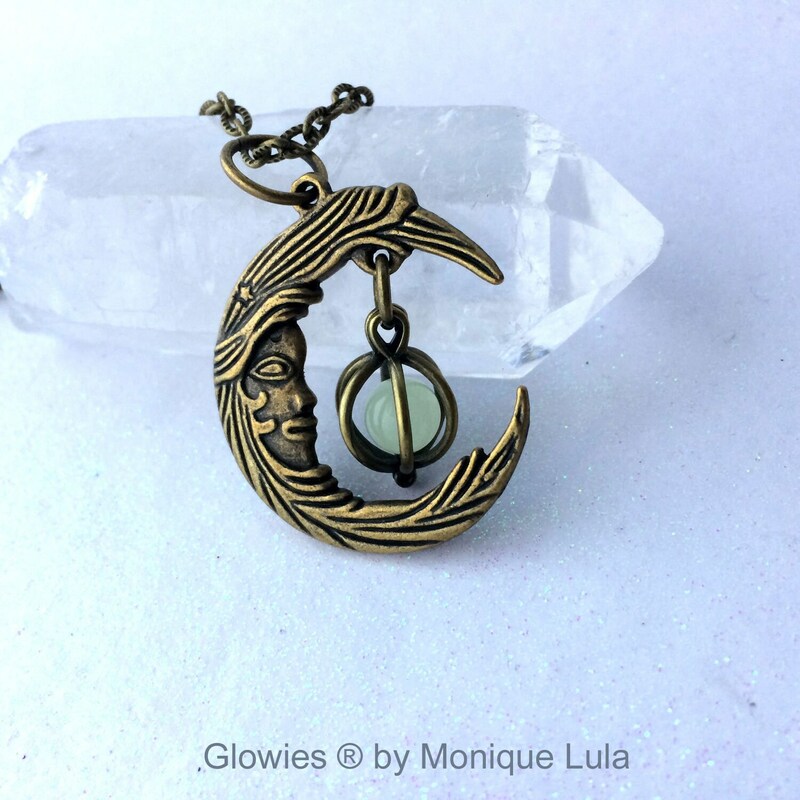 This pendant is a nice size and measures almost 1.5 inches. 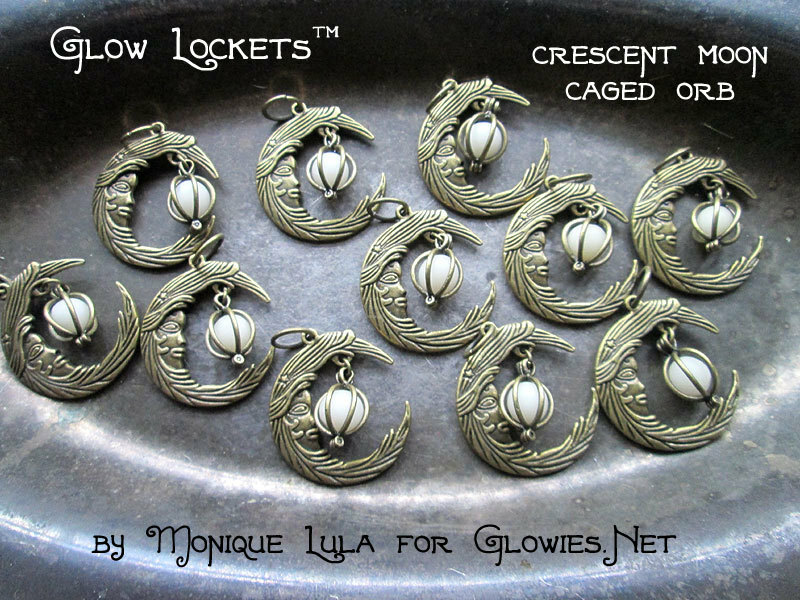 On a nice large ring so you can wear this on other cords or chains.